Do you ever feel like living a natural lifestyle makes it harder for you to find snack food? It’s definitely a good trade, of course, switching from convenient, easy snacks to a more healthful, nutrition-oriented lifestyle, but there’s no denying that a lot of things get harder when we choose to eat a whole foods diet. There are a lot of things that you just give up, or seriously cut back on. (Moderation is key!) I’m not saying that’s a problem, but I’m always glad when, instead of giving up a favorite food entirely, I can just change the way I eat it. Popcorn is one of those foods that our culture has turned into a convenience food. When I was growing up, popcorn came out of a bag and out of the microwave. It was nice, too, because it doesn’t take any effort beyond opening the plastic bag and programming the microwave for two minutes. Some microwaves even have a popcorn button! Unfortunately, as I’ve gotten older and started researching more, I’ve realized that microwave popcorn can be a really harmful thing to eat. For one, there are very few options available for USDA Certified Organic microwave popcorn. Luckily all popcorn is non-GMO, but it is not all organic. Like all other foods, it’s important to purchase organic popcorn so you can avoid pesticides and herbicides. Finding organic popping corn in bulk is pretty easy, especially at natural grocery stores like Whole Foods or your local food co-op. If you can get past the questionable ingredients, you still have two big problems with microwave popcorn. Even the popcorn bag itself (or, more accurately, the coating of the bag) can be extremely harmful. PFOA, which keeps the popcorn from sticking to the bag, has been linked to reduced fertility and thyroid problems. (Read more here from the NRDC.) And if you want one more reason to stay away from microwave popcorn, you’ll have to think twice about the use of the microwave itself. additional toppings: cinnamon, melted butter, spirulina seasoning salt (learn how to make it here), chili powder, etc. 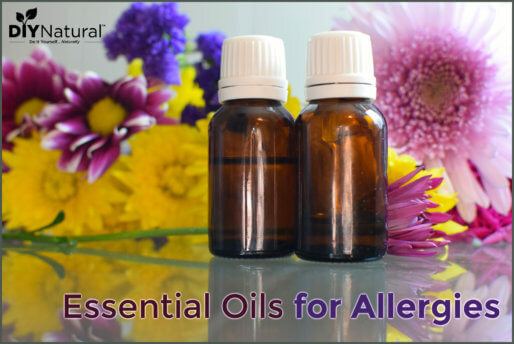 *Use healthy oils with a high smoke point, like expeller pressed coconut oil (find it here), or clarified butter–learn how to make it here (or purchase it here). Get out a pot with a lid that holds at least three quarts. Place your pot on high heat and pour three tablespoons of oil into the bottom. Wait a few minutes until the oil is quite hot. Next, drop a test kernel into the bottom of the pan. When the kernel pops, add the rest of the popcorn quickly. Cover and remove from heat for thirty seconds. Pour your popcorn into a bowl and add toppings if you wish. It’s time to enjoy! How do you enjoy your popcorn? Share your tips for healthy popcorn below! Hi! I am new to this whole finding out about the evil in foods you should be able to trust thing! I am going to do away with the microwave popcorn. Just thought I would say my almost 2 year old gets a huge rash that lasts for at least two days every time she eats microwave popcorn. I don’t let her have it anymore. But, I’m wondering what in that evil mix is doing that to her. It is not like a normal diaper rash. It is a really bright red and inflamed rash. I know it is from the popcorn. Anyone have this happen to their little Blessing? Thanks for the great info. I would say she might be allergic to the actual corn. I know several relatives (who are children) who have developed an allergy to corn. My dad would always pop the popcorn on the stove and if you find the right temp it never burns. But recently I tried using coconut oil to pop the corn with , it smelled amazing and then I poured coconut oil on it when it was done instead of butter with a little salt…. Heat the oil with one kernel till it pops don’t heat more then med high it might take a little longer to heat up but you won’t burn any! keep the lid a little off center to let steam escape so the pop corn stays fluffy. I have been a popcorn junkie my whole life. When i was a kid it was popped on the stove in a pot with peanut oil. I tried the microwave stuff a few times but it seemed to make my heart flutter. You can buy micrwave poppers on line that work great. I have a few very old electric poppers that i use a few times a year but finnaly bit the dust and bought a medium size movie theater popper that i love. I have raised my own popcorn and also bought corn from popcorn farms online. You can even buy the tiny popcorn that the Native Americans showed us. Did you know that you can pop barly and garbanzo beans too? GMO Popcorn will not pop. You can also pop popcorn in a pan not coated cast iron works great without oil. Just pop it like you normally would without the oil. I like popcorn to and do not like all the gunk in microwave pop corn. I take a large glass bowl and put a Tablespoon oil ( I like olive oil) and 1/3 cup Popcorn in the bowl. Place a glass plate on top. Put in the microwave. I set it for 20 minutes, to be sure the popcorn has enough time. WATCH THIS BECAUSE IT WILL BURN. When it popping slows down stop the microwave. Some times it takes 4 minutes or 5 or 6, that is why I set the longer time. The popcorn taste great. we actually grow our own popcorn , but when I run out, I buy Bob’s Red Mill organic popping corn. I purchased a metal popcorn popper for the stovetop ( amazon- 24.00 or so)… it has a spinning arm on top that you turn as it heats, so the popcorn pops just right. I use either olive oil or coconut oil . YUM ! Jennifer and Laura are correct, there is no GMO popcorn–I have corrected this in the article and we (Matt and Betsy) apologize for missing this in our editing. That said, many oils ARE derived from GMO crops. This is why it’s important to avoid “processed” popcorns (meaning ingredients are pre-assembled for you), and purchase healthy, organic, non-GMO ingredients separate from each other to be compiled delicious fashion at home–it’s great family fun to pop popcorn together! Glad to see an interest in healthier eating and agree with most of what you say. However, one thing is incorrect. Popping corn is not gmo. While its true that most corn in the U.S. is gmo, popping corn is a different breed and is not grown gmo so there is one place we can save a little money. No sense paying extra for it to get gmo, although organic has other benefits. Currently all popcorn is non-GMO. It is a different crop than the GMO variety. It is unlikely that they will create a GMO for popcorn because the crop is not a high demand. 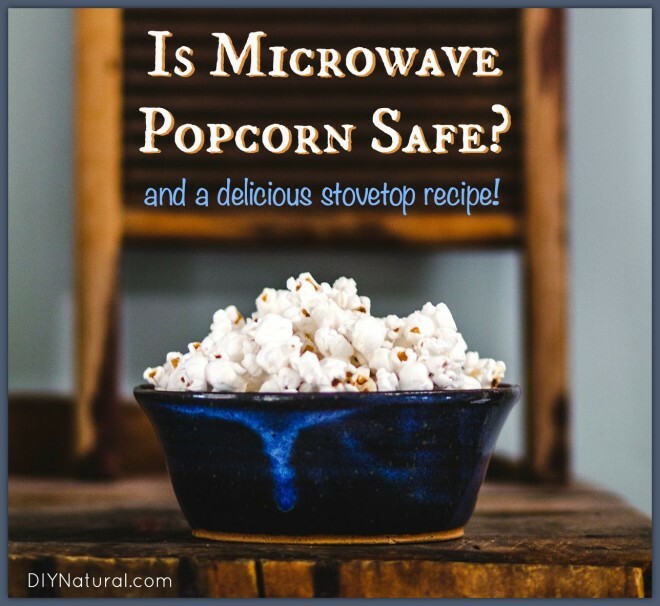 You have to watch out for oil used in microwave popcorn. If it’s not organic and it’s soybean or canola it’s likely GMO. If you’re buying a bag of popcorn to pop yourself that it’s not GMO. You still have to worry about pesticides if it’s not organic. Anyway I love popping my own stove top popcorn. I use any non gmo high heat oil. I currently prefer avocado oil. It doesn’t leave much flavor. I go crazy on the spices. My favorite are nutritional yeast, curry spice, and garlic powder. I use a olive oil spray to the popped popcorn (not to the kernels as olive oil is not a high heat oil) so the spices stick better. I often think about adding cinnamon and sugar for a sweet treat, but I haven’t tried it yet. Thanks so much for clarifying, Jennifer! You’re totally correct. That’s what I was going to say….I thought that popping corn wasn’t GMO. (Thank goodness!) Thanks for the correction! I use Meijer Naturals microwave popcorn. There are two different kinds and one has butter flavor so I don’t use it. The one I use just has palm oil and salt in it and while it isn’t organic, it is non-GMO. All the Meijer Natirals line is supposed to be non- GMO. I’m amazed no one mentioned air popped popcorn. What could be easier than hot air blowing on organic corn? No kernels. No mess. No nukes. Air poppers are all over thrift stores. Go!! I use and love my old fashioned air popper. It’s mentioned as a “Note” at the end of the article; it’s how we (Matt and Betsy) pop our popcorn. I just bought my husband an air popper. Only $20 new. I have no difficulty finding organic popcorn. Unfortunately I can’t control the toppings he uses but at least my health is not being affected by that. Microwaving anything , even water, destroys its nutritional value . The microwave should be used as a cupboard only. That’s very funny and very true, Vivian! Growing up my mom always made us “cheese” popcorn. When we got older we found out it was actually nutritional yeast added to the melted butter. It tastes awesome and my kids love it. We alternate coconut oil popcorn and the “cheese” popcorn. I cut out microwave popcorn but not the microwave. So I just put the organic popcorn with a little coconut oil and salt in a loosely covered glass bowl and nuke it. Perfect every time and takes minutes. I even do it oil free sometimes, but the coconut oil gives it a really nice flavor.